Don't miss a chance to Get In Bed with Thom Filicia and celebrate with us as we launch our new line of bedding with Eastern Accents! 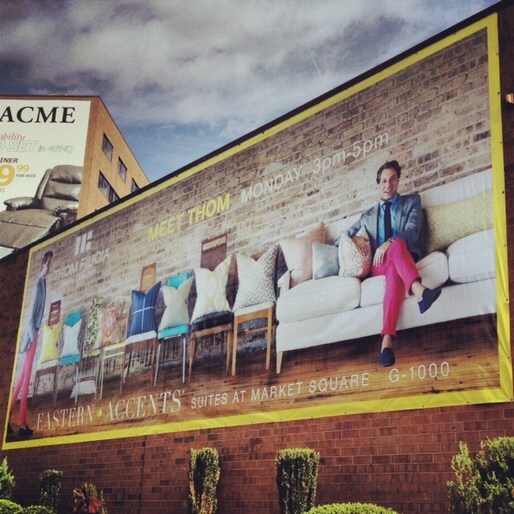 Celebrate High Point Market with Thom! 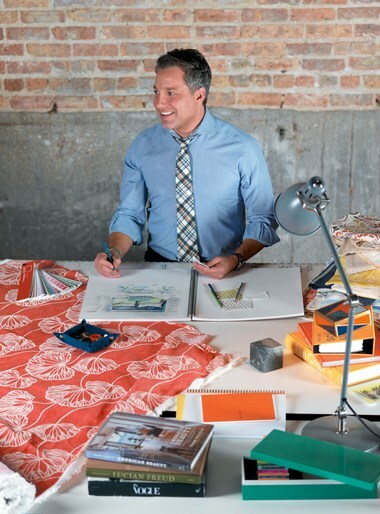 Come celebrate with Thom Filicia at High Point Market as we launch a new line of artwork, furniture and bedding! 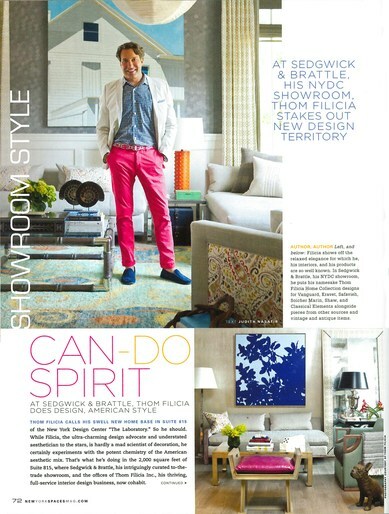 Make sure to get your copy of the spring issue of NY Spaces Magazine's THE GOODS and read all about Thom Filicia's new showroom at the New York Design Center - Sedgwick & Brattle! High Point Oct. 2013 Recap! I'm just back to New York after another successful furniture market in High Point, NC. Thank you to all of my partners who made it such a fantastic trip. 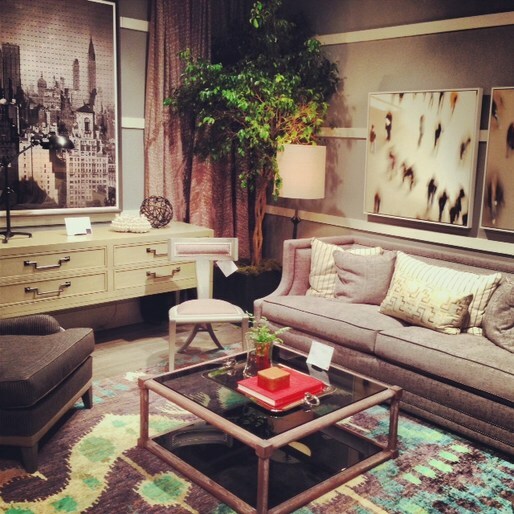 I'm thrilled about my new introductions to my furniture line with Vanguard! See below for some images of the showroom this market. Swing by the Eastern Accents booth at High Point Furniture Market and grab a glass of Sangria and a copy of Thom's book, American Beauty! A BIG THANK YOU to everybody at Eastern Accents and High Point Furniture Market who came out to support the launch of my pillow and throw line as well as buy my book, American Beauty! A special shout out to the fabulous Eastern Accents ladies who surprised me with a DANCE FLASH MOB! 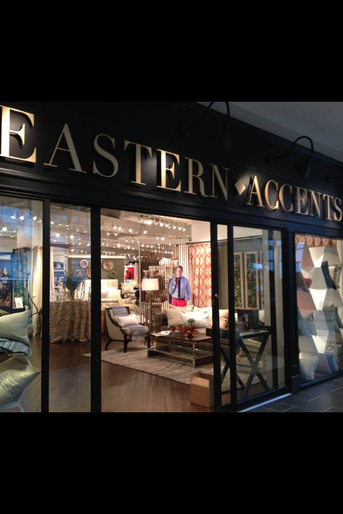 NEW...Pillows & Throws with Eastern Accents! Check out a sneak-peek at my new collection of pillows & throws with Eastern Accents, to be debuted this weekend at High Point Furniture Market in North Carolina! 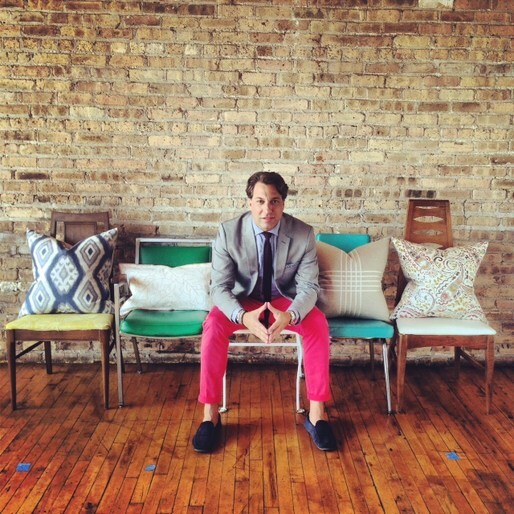 Below are a few fun shots from our campaign photoshoot in Chicago last month. Here's a sneak peek of what's happening at High Point Furniture Market right now at the Vanguard and Eastern Accents showrooms. Make sure to stop by and say hello! Also, don't miss my American Beauty book signing on Monday from 3-5pm at teh Eastern Accents showroom.